Equipment and installation at no charge to customer. Clean and service equipment on a weekly/biweekly basis. All of our ground coffee is 100% Colombian. Great Tasting Coffee with No Hassles! Shelf stable - no thawing or refrigeration. Perfect for small areas. 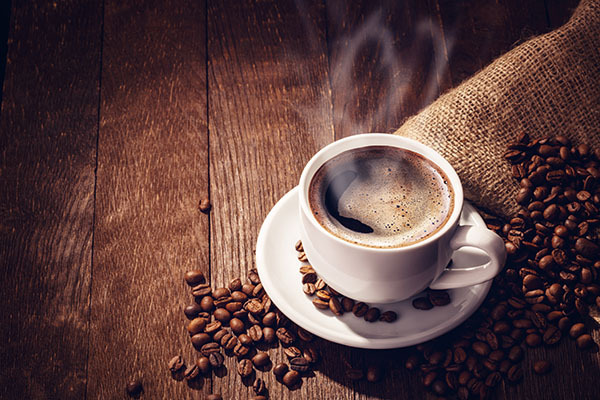 Brew 12 cups of premium coffee in under 3 minutes. Can be hooked up directly to a water source or used as a pour over unit for even more options. This style also comes with a variety of burner options. This unit hooks directly to a water line and brews 1.5 gallons of coffee per side. Selector switch also allows for the options to brew .5, 1, or 1.5 gallons. Coffee dispensers are portable and can be used on satellite warmers for portability. Uses 4.25 oz bag coffee. If you're looking for a quality coffee, on demand, this unit is perfect. No need to wait for your coffee to finish brewing, this liquid machine uses a liquid coffee syrup. Products for this machine are shelf stable and NOT FROZEN. No coffee filters or grounds to deal with. Units are great for counter top displays where brewing is not optimal. On demand by the cup or carafe. No need to brew a whole pot when you just need one cup. These two units are perfect for high production kitchens. 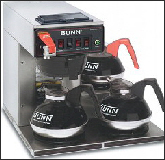 When you need to dispense gallons of coffee each meal time, the URN and SRU units are the best choice. The big unit called the URN, brews 3 gallons of coffee each time and can hold a maximum of 6 gallons at one time. The URN’s little brother is the SRU and can brew and store 3 gallons of coffee at a time. Now if your thinking it will take forever to brew that much coffee, these two units are fast! Also comes with a switch to only brew half batches, when production needs drop. Both use the 8.5 oz bag coffee.